There is plenty of debate when it comes to why the West Virginia basketball team is struggling so much. Many point to this being a young team. Well, when your starting lineup consists of four juniors and a senior, that’s a tough case to make. While the team does have experience, there is an area the team is certainly lacking experience: ball handling and decision making. Last year Jevon Carter was the primary ball-handler the entire season. He rarely left the court. When he did, the team struggled greatly. Jevon Carter picking up two early foul was Bob Huggins’ worst nightmare. Now that he’s graduated and never on the court, the team is committing way more turnovers. Take a look at this tweet from Fran Fraschilla which does an awesome job of explaining how much WVU misses Jevon Carter. 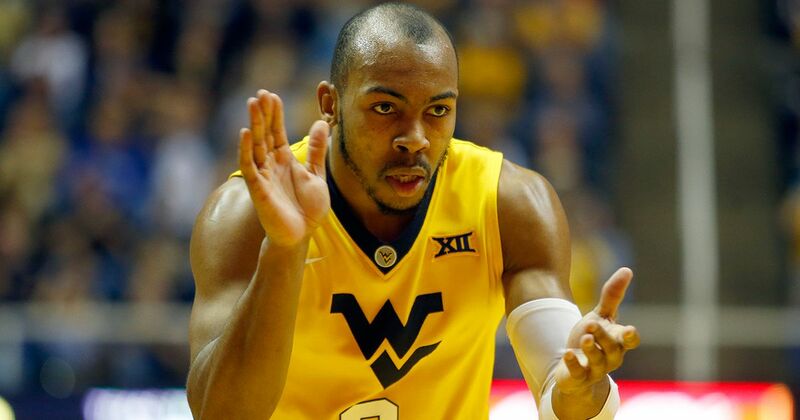 No one player is missed more for his team than @WVUhoops Jevon Carter. ‘Neers guards’ decision-making is disasterous right now. Last year, Offensive TO Rate was 16.1% (No.37), this year, 20.4% (No. 243). You might glance at that and think a 4% difference in turnovers isn’t that much. Well, it takes West Virginia from one of the best to one of the worst. While the Mountaineers do have some experience in the backcourt, they don’t have a ton of experience handling the ball. Bolden was a key player last season, but a big part of his role was hitting threes and he wasn’t relied on as much as the primary ball handler. When Carter was out, he was often the primary ball handler, but he had help from Daxter Miles Jr.
Esa Ahmad averages 2.9 turnovers per game and Sagaba Konate averages 2.3. For guys that aren’t handling the ball a whole lot, that is too much. Brandon Knapper is averaging 2.5 turnovers per game in just 15 minutes per game. Bolden is averaging 2.2 turnovers in 20 minutes per game. Compare this to last season when Jevon Carter played 35.5 minutes per game and averaged 2.6 turnovers per game while he was the primary ball handler for almost the entire game. The next highest turnover-rate was Esa Ahmad at 1.7 turnovers per game. A big part of Konate’s turnover rate almost doubling since last season is his determination to play outside. Fran Fraschilla made another tweet that pointed out the Mountaineer big man’s love affair with the long ball. I get it. @WVUhoops’ Sagaba Konate has improved his shooting. Someone told him that’s his way to NBA. But, as we’ve seen so many times in the league, “be great at what you are good at.” He is a runner, rebounder & shot blocker. He’s right. Konate has worked hard to improved his shooting, but he’s definitely lost track of what his strength are: rebounding, shot blocking and running to the rim. Bob Huggins offered his thoughts on Esa Ahmad in a postgame interview after the loss to the Florida Gators. The guidance of Bob Huggins can get this team back on track. Over time, as the guards gain more experience, they will get better at taking care of the ball and winning. That said, this team needs more from their veteran big men. These two should be the strength of the team, not a weakness.